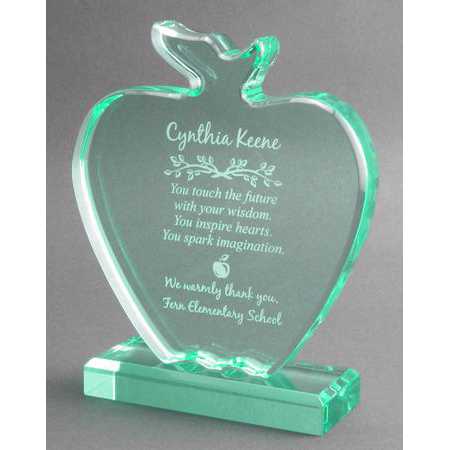 Recognize special teachers with this sophisticated teacher award in the shape of an apple, and designed of clear jade acrylic. 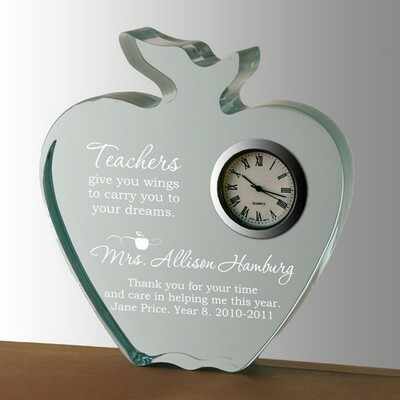 Makes an appropriate teacher gift from both students and also from the school itself or school board. 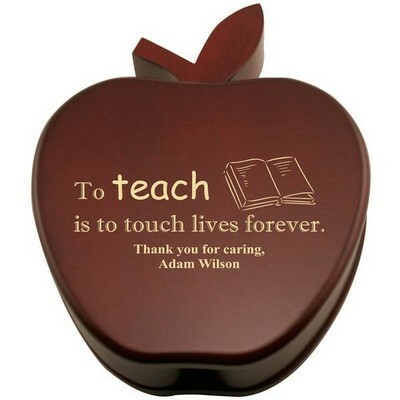 Also a perfect gift for other educational professionals, including school principals, academic tutors and school administrators. 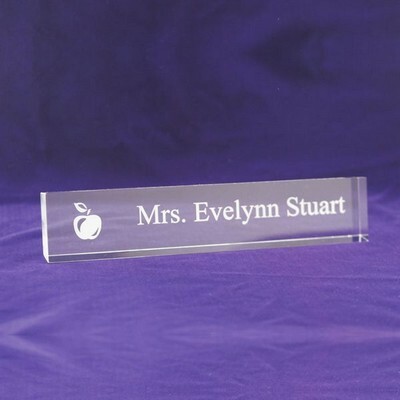 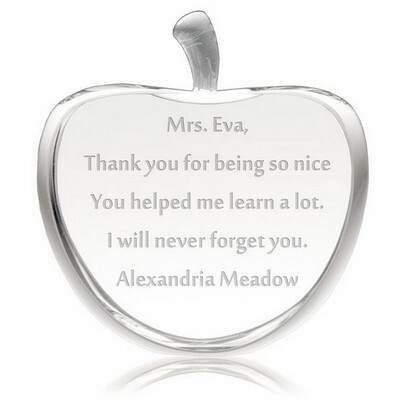 Any teacher would be touched with a special customized etched message. 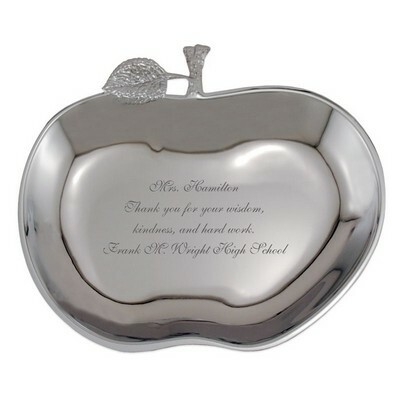 Added additional elegance and meaning with this gift for teachers by including personalization with the teacher's name and 2 lines at the bottom. 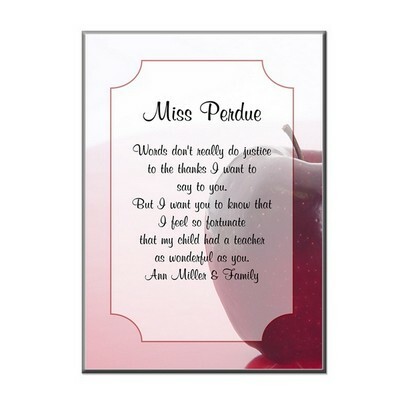 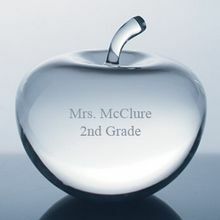 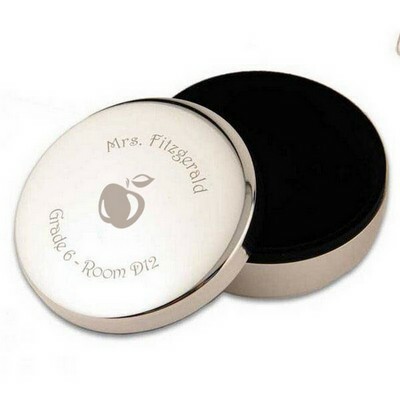 Honor your favorite teacher with this 7 1/4" x 6" x 2" design that also includes an etched apple and other decorative detailing for a highly memorable gift. 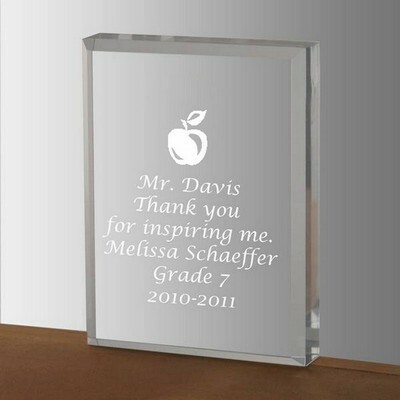 Personalize this gift with a the recipients name, and a customized message. 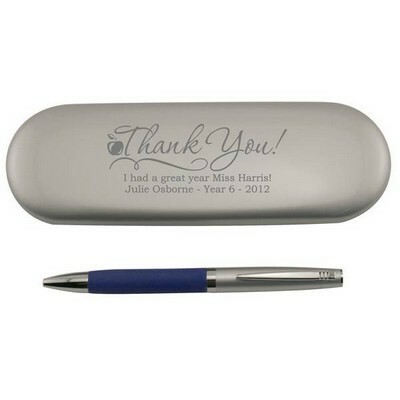 Comments: I give this company 5 stars....Great service, great products and great delivery time.